We want to do a quick review of last week’s ed-events at the state Capitol. As we reported in our previous post, there was a large education reform rally held at the Capitol. This rally was followed by a second event hosted by a different group of individuals. In fact, it seemed as if the second rally, sponsored by the AAEA, AEA, AERA, and ASBA, was actually a response to the first. It looks like this legislative session may be a more contentious one than usual for education issues. The tides have turned this legislative session. The Republicans have a majority in both the House and the Senate for the first time in history. They started the session with a well-organized education reform package. Their level of organization was matched by the education lobbies in the state. 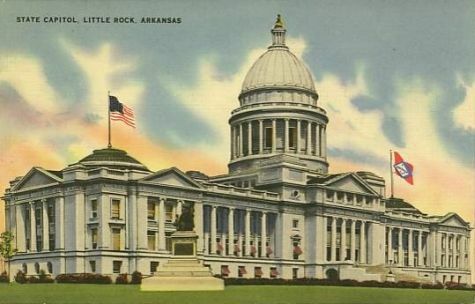 If you are a teacher or administrator in the state of Arkansas, it is highly likely that you received an email from at least one of these organizations with warnings about the nature of the HB 1040, the charter school authorizer bill, and an encouragement to contact your local legislator. The AAEA website has devoted an entire page of their website to a combat the bill. Rumors are already circulating of a compromise, but brace yourself…it is going to be an interesting session.